Le Bal des Débutantes in Paris, also known simply as le Bal, is a fashion event held annually in November that brings together 20–25 girls aged 16 to 22 from about a dozen countries. It was created by Ophélie Renouard on September 27, 1992. The young women don gowns from haute couture and couture designers, as well as foreign fashion houses. The débutantes usually come from famous families, known for the contributions to arts, politics, business, and more. More importantly, money is not a criterion for selection.The event raises money for one or more charity organizations while celebrating the French way of life.Since 2009, le Bal has supported Enfants d’Asie, which provides education for girls in Southeast Asia.In 2015 it also supported Seleni, a non-profit that finances research in healthcare for adolescent mothers.In 2005, Forbes cited it as one of the world’s 10 hottest parties. Ananya Pandey waltz like a princess in Jean Paul Gaultier, with Prince Philip d’Arenberg at Le Bal Paris. This year, actor Chunky Panday’s 19-year-old daughter Ananya made her debut in a fitted blue gown by designer Jean Paul Gaultier. She was escorted by Prince Philip of Arenberg. The young girl is all set to enter Bollywood, following in her father’s footsteps. In addition, Gauravi Kumari, daughter of Jaipur royal Diya Kumari, also made a debut at the ball. To prepare for it, the NYU student took waltz lessons. The Maharaja of Jaipur, Padmanabh Singh, also made his debut, and escorted Reese Witherspoon’s daughter, Ava Philipe, and the two danced to a song from the movie ‘La La Land’. So who were the girls from India to have attended the ball earlier? 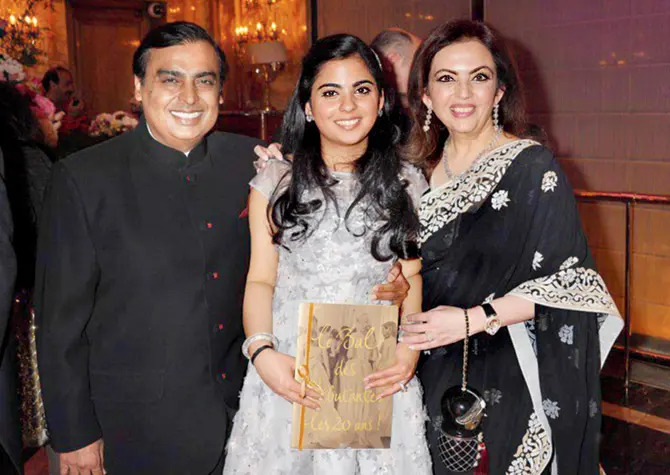 Reliance heiress Isha Ambani attended the ball a few years ago. Last year, Shweta Nanda’s daughter, Navya Naveli, would have attended the ball, had it not been for the Paris attacks. Leana Mallya, Vijay Mallya’s daughter, attended the ball, along with royals Shaiyra Devi of Kapurthala, Adishree Singh of Jammu and Kashmir and Akshita Bhanjdeo of Mayurbhanj. Daughter of industrialist Sameer Modi, Jayati Modi, and diamond heiress Ashna Mehta have also attended the ball. Next Alexander McQueen & YSL at The Chanakya, New Delhi by 2019.